You know when you have to send cards to Master Crafters you have to come hard or stay at home (from my bid whist playing days). I had to come up with a card I hoped would make their jaws drop. I hope I did, here it is. It is a shadow box card. I used a 4 step stamp from Kitchen Sink Stamps; a Memorybox Die Frosty Wreath and another border die from Memorybox to get all the flakes. I cut the opening with a Spellbinders die and cut a border for the opening with another size from the same circle set out of silver mirror paper. I added some glitter snow to ground the tree and a flat back gem as a tree topper. The greeting stamp is Hero Art I think. I signed the back side of the card. This card tucked and folded and here it is open. The stamp is by Paper Trey Ink. I think I talked about how I made this in one of my video on YouTube. I am playing in a Swap on YouTube at Queenbeescreations’ channel. That was a mouth full. I had to make 4 ATC with a Christmas theme and grungy in nature. Here is what I came up with. I used paper from My Mind’s Eye and I cut a focal image into a banner shape. I distressed the edges with my distrez-it-all from Zutter on both the banner and the ATC. My base is chipboard covered with more of the paper from MME and I stamped an snowflake from Tim Holtz and gold heat embossed it. I tucked an ornament (Stampin Up) punch out underneath the banner. This is copper colored mirror paper and I stamped Joy (Paper Trey Ink) and heat embossed with detail white embossing powder. I added some Stampendous tea stain fragments to the banner cut with glossy accents. The tiny snowflake die cut at the bottom is from a Memory Box border die. I added color to the border with some distress ink and every so often around the border I touched a Krylon gold pen to accent it. I hope the swappers who get my ATCs are happy with it. I had fun making them. There are more women in my family but more men in my husband’s family. So cool to be able to create cards for men and so challenging as well. Each year my husband and his brothers exchange Beer at Christmas so here are the cards I made to go with the beer. The image is called Glad Tidings and Good Beer; but I cant remember who I bought it from. 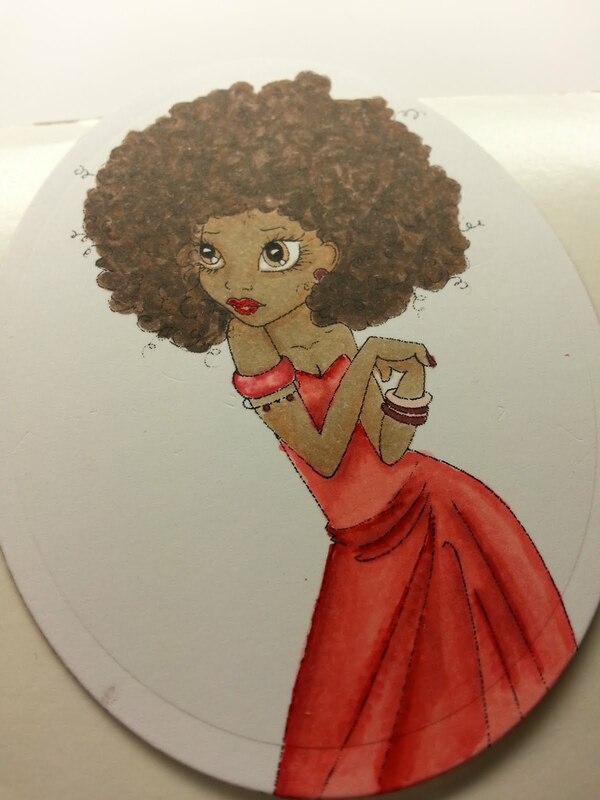 I colored it with my copics and added a little sparkle. I think this will be a fine addition to the beer. In November I celebrated the birthdays of my crafty friends Thelma and Octavia. Go figure I’d find 2 friends who birthdays are both in November. So I made them each a glue station and I created bags to present them in. Let me give a bit more detail on the bags. I took some graphic 45 paper and changed the color in my computer to Black and white. I colored one of the Ladies with Prismacolor Colored pencils and gamsol. The topper is a Cheery Lynn die and a molding magic clay cameo. I got the mold on Esty. The cameo color was made by adding some distress stain to a small bit of the white. This was easier to do than I thought. I layered the face part in the mold making sure that the clay all stayed in the right places and then layered the pink clay over that filling the rest of the mold. You have to be careful with the last part and not push the pink clay too hard. I popped them out and let them dry. I mounted them on paper clips to ease attaching them and so they could be used again by the recipients and I was done. So much fun. I had a play night Saturday and I got stuck on one die and made 3 different cards using it. The die is Tim Holtz Tattered Poinsettia and what is so cool is that there is a matching embossing folder for it. I actually have another poinsettia die that embosses when it cuts but not with this much detail. There are 3 sizes of flowers on the die and I joined them with a tree brad I had. I topped the brad with glitter as there had to be bling right! 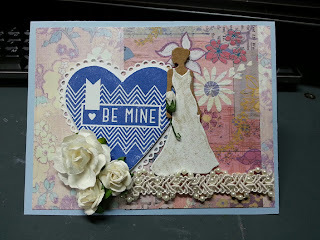 I colored the die cuts with Stampin Up’s Cherry Cobbler and Mellow Moss Inks. The other embossing folder that came in the set was used to emboss the background and a Hero Arts stamp completes the outside of the card. I used the same inks on this card but with a lighter hand. And one with no color at all! The embossed border comes from a Spellbinders Card Creator die. LnL does it mean Laughing and Loving. It could, because we did. But it means Late-Nite in Louisville. My friends from the Cincinnati Based Late-Night Stamper group came and spent the day with me on Saturday and I was so blessed by their presence. They entered into my craft area with Christmas music playing as the majority of the crafts we were to make where Christmas themed. I started the day by introducing them to my new Pet Dog Bling. They thought I had gotten a dog. LOL! I created him during a resin/mold class but he was not made with either one. He is made out of sculpy clay and different kinds of glitter. I may have found a new talent….not. I donned my Tiara, then we opened with prayer. Ms. Wanda is a praying woman, yes sir; bless God; and once covered by the blood of Jesus we got down to crafti-goodness. First we made a bottle station and matching designer clothes pins. It is made out of PVC pipe coupling and designer paper. It is held together with hot glue. 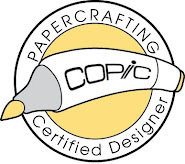 The paper is adhered with gel medium. Above is the sample I have been using for a couple of months. It comes in handy keeping your glue bottles upside down so that the glue is ready when you are. Then we got started making Christmas Door Knob Hangers. This is my work in process. Its hard to teach and create at the same time. I used the Tim Holtz holiday rosette to create the embellishment and there is a trick to getting 2 different sizes out of one size die. See my YouTube video for details. Then we had to eat; crafting is hard work. My hubby, wonderful chef that he is made Chicken Salad and I made Brundage Soup ( I named the recipe after the friend who came up with it). The Ladies brought salad, brownies, two kinds of cookies and chocolate cake. I had some Klondike bars and oh the things they did for those bars. All that put Ms. Vickie to sleep!. Here are the other cards we made. It was getting late so I sent them home with the supplies to make this card. That’s my way of keeping a party going. Everyone made it back home to Cincy safe and sound and I am still LNL Laughing and Loving and already planning for next year! Just a quick post to celebrate World Card Making Day. I just made this card using copics. Got Copic Certified yesterday so now I must practice Practice Practice! I hope you get to make a card today!